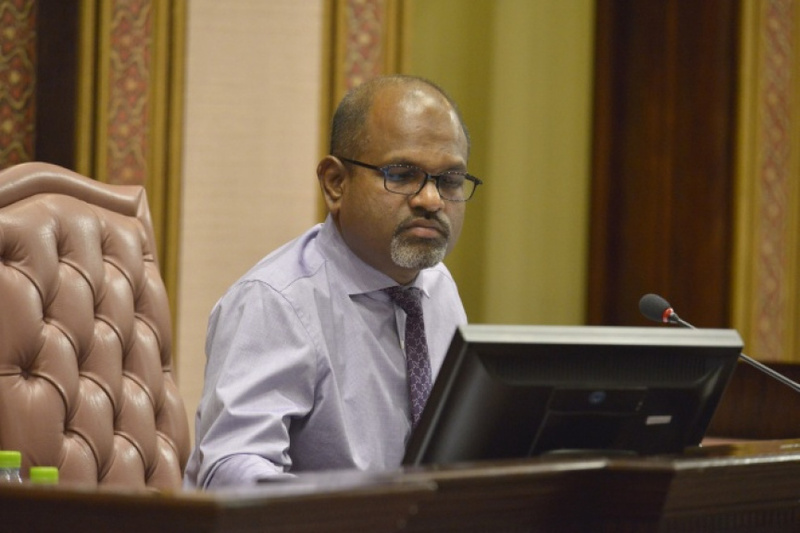 The former deputy speaker of People’s Majlis, Ahmed Nazim has been ordered to pay MVR 1.9 million to the Mauritius Commercial Bank by Civil Court. Nazim was sentenced to 25-years in prison for corruption in 2015. He became a fugitive when he disappeared after he was allowed to travel abroad for medical care. The Mauritius Commercial Bank sued Nazim after he failed to payback a MVR 1.5 million loan taken from the bank in 2012. The Civil Court has ordered Nazim to pay a total of MVR 1.9 million for the loan and accumulated interest up to February. The court ordered that Nazim pay an initial MVR 440,000 as agreed between him and the bank by the end of this March, and the rest within the next nine months. The sentence against Nazim was issued by Civil Court on March 25. The court also said the bank has the right to ask for seizure of property mortgaged by Nazim for the loan, if Nazim fails to make the payment.